Goodreads: Joy Candellaro once loved Christmas more than any other time of the year. Now, as the holiday approaches, she is at a crossroads in her life; recently divorced and alone, she can’t summon the old enthusiasm for celebrating. So without telling anyone, she buys a ticket and boards a plane bound for the beautiful Pacific Northwest. When an unexpected detour takes her deep into the woods of the Olympic rainforest, Joy makes a bold decision to leave her ordinary life behind--to just walk away--and thus begins an adventure unlike any she could have imagined. In the small town of Rain Valley, six-year-old Bobby O’Shea is facing his first Christmas without a mother. Unable to handle the loss, Bobby has closed himself off from the world, talking only to his invisible best friend. His father Daniel is beside himself, desperate to help his son cope. Yet when the little boy meets Joy, these two unlikely souls form a deep and powerful bond. 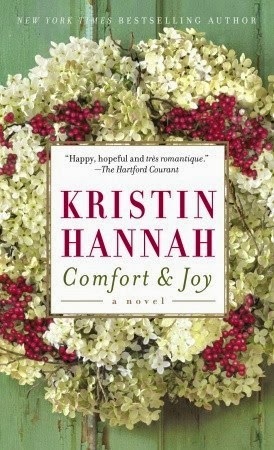 In helping Bobby and Daniel heal, Joy finds herself again. But not everything is as it seems in quiet Rain Valley, and in an instant, Joy’s world is ripped apart, and her heart is broken. On a magical Christmas Eve, a night of impossible dreams and unexpected chances, Joy must find the courage to believe in a love--and a family--that can’t possibly exist, and go in search of what she wants . . . and the new life only she can find. Kritters Thoughts: Joy has had a rough year, her husband and her hit a rough patch and he has ventured into the arms of another woman. She isn't feeling satisfaction on the job and overall life isn't going well for her. So she ends up on a crazy adventure that from the beginning is more than doomed. And then the book takes an unexpected turn and of course I can't share or it would ruin the whole deal! This one was a little too lifetime movie for me. I was hoping for a sweet holiday book and from the beginning this one took the dramatics and amplified them. Family drama, a plane crash and beyond, this book packed the punch from the beginning. It had a little bit of the holiday cheer, but just not enough for me.